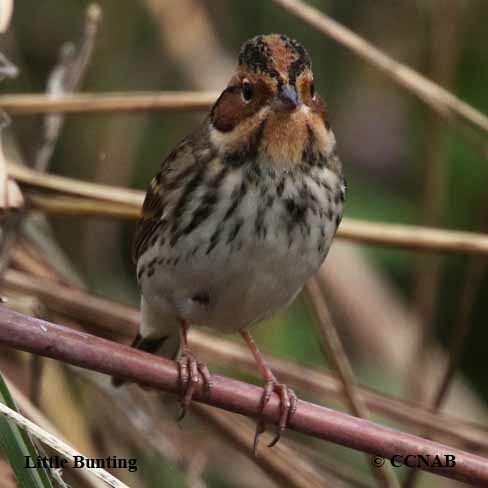 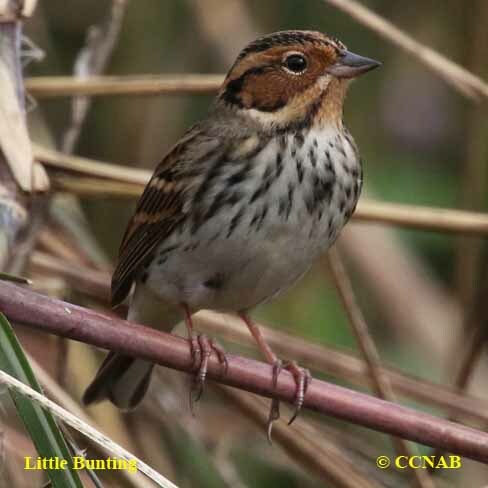 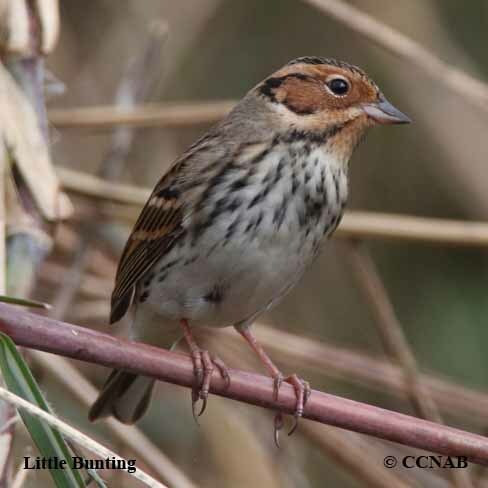 The Little Bunting is one of the smallest members of the bunting family. 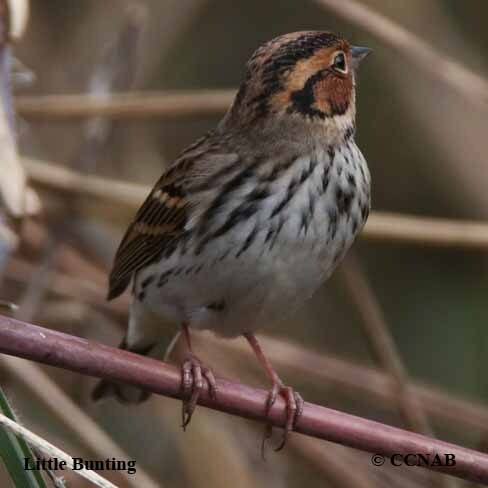 It has some of the similar features of some sparrows seen in North America. 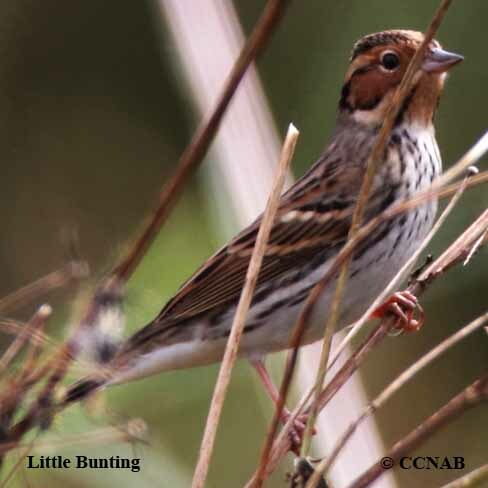 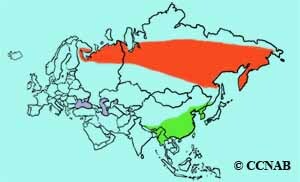 It is a vagrant visitor to North America from Eurasia, where it breeds in the northern regions of the continent, migrating into the southeastern regions of Asia during the winter months.